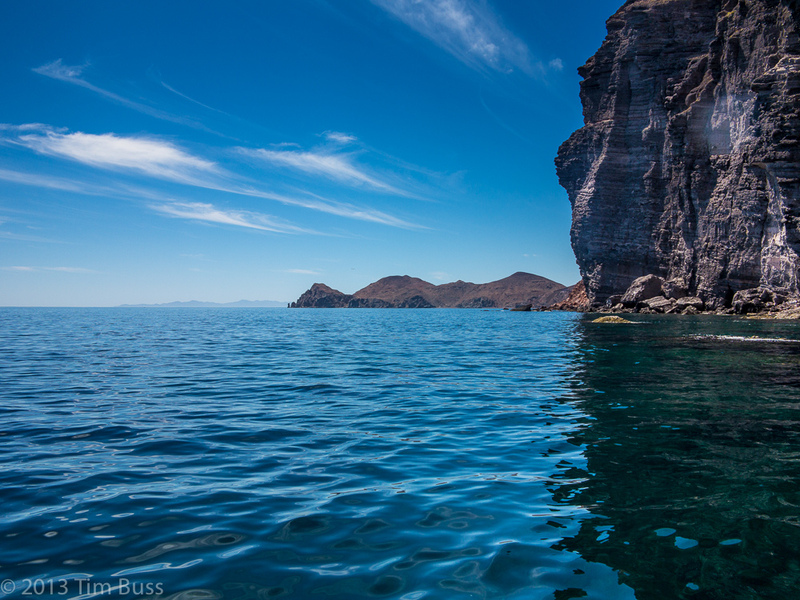 Espiritu Santo is considered the most beautiful island in the Sea of Cortez. Learn what it is like to visit on a day trip by Felicia and Wesley of Feather in the Wind. There’s no doubt that, if you’re living out of a backpack, there lies adventure in every single day. When your daily routine is so far removed from the ‘traditional’ 9-5 job, each moment can be thrilling, adventurous, terrifying and hilarious all at the same time. But every now and then, you might come across a day that is so especially beautiful that it will stand out like a shiny trophy among your collection of adventures. 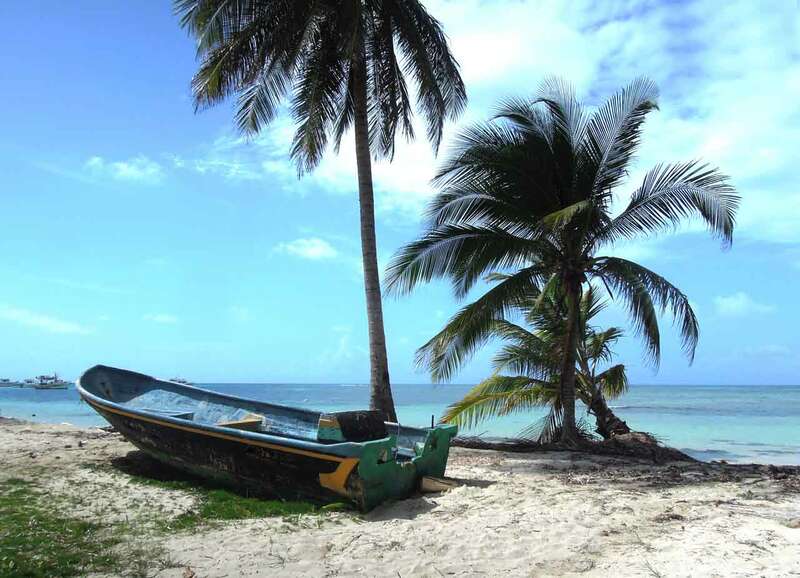 For us, that memorable day was our visit to Isla Espíritu Santo. A recent visit to La Paz, Mexico had to be rescheduled not once, but twice while we were preparing our itinerary for Baja California Sur. Despite the headache of over planning and scheduling, the mix-up meant we could now dedicate a full day to exploring Isla Espiritu Santo. Luckily things happened as they did because if not we would have missed out on what has been regarded as the most beautiful island in the Sea of Cortez. Our Airbnb host recommended Rebequitas Tours and arranged for us to meet our guide in town at 10:30am. We boarded our panga (a small fishing boat) with a German backpacker, a couple from the US, their translator and our Rebequita guide. Having a small group of seven made for a much more personalized and enjoyable day exploring the nearby beaches and the island. And so, with no expectations, we set off from La Paz toward the open sea. The first stop of the day was at a little island called San Rafaelito. At first glance, we saw only a small white lighthouse but once we got closer, we could tell that the island was home to several birds and even more sea lions. Most were relaxing on the rocks but some were huddled together in the water with their fins in the air as if they were waving to welcome us. We learned that sea lion flippers have capillaries to help them either cool off or stay warm. Apparently, when they’re sunbathing and fanning their flippers, they are cooling off and when they’re swimming with their flippers out of the water, they’re trying to keep warm. Who knew?! Following San Rafaelito, we continued north admiring the coastal landscapes and learning from our guide. When the dark blue waters turned to wonders of turquoise, we knew we had made it to our next stop: Balandra Beach. Not only are the waters here crystal clear, they are also calm and very shallow which makes the beach that much more enjoyable. An iconic landmark in this area is ‘El Hongo de Balandra’ which translates to ‘The Mushroom of Balandra’. The unique rock structure is a result of thousands of years of erosion and, as you might have guessed, is shaped like a mushroom. Afterwards, we followed the cutest dolphin over to Tecolote Beach where our driver picked up our lunch and we had a short break. After over an hour at sea, we reached the highlight of our excursion: Isla Espiritu Santo and swimming with the sea lions. 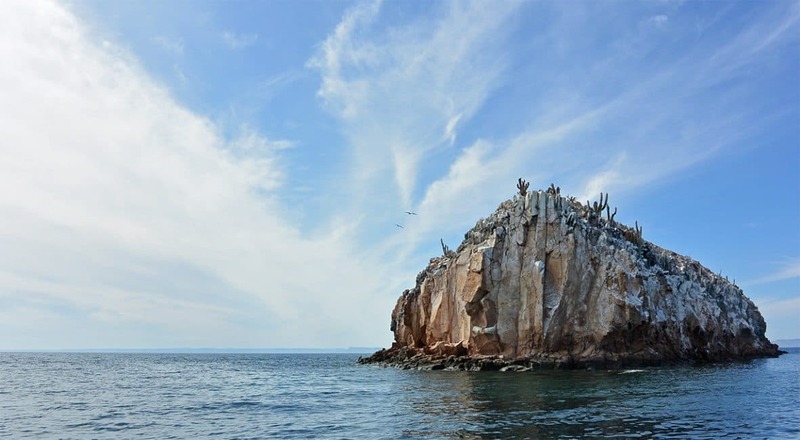 Isla Espiritu Santo is among the many islands in the Gulf of California Biosphere Reserve that are protected by UNESCO and by the Mexican government under the Área de Protección de Flora y Fauna. It is connected to Isla Partida by a narrow isthmus and the sea lion colony we were visiting is at Los Islotes which is just north of Isla Partida. We first toured Los Islotes and saw dozens of sea lions basking under the sun on the rocks. After learning that this area is said to be home to roughly 300 sea lions, we put on our snorkel gear and jumped in with excitement. 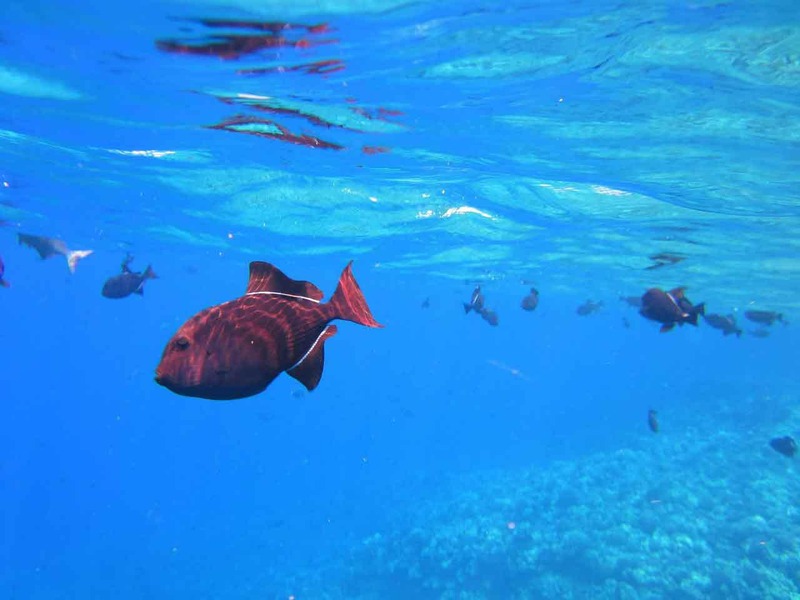 Initially, we could only see schools of tropical fish but once we first caught sight of a sea lion in its natural habitat, it just about took our breath away. The pups were particularly curious, playful and not shy to swim near us. It was our first time swimming with sea lions and a memorable experience to say the least. Elated (and hungry) we said goodbye to the sea lions and continued on our excursion. Lunch was included in our tour and we enjoyed some fresh ceviche and sandwiches at Ensenada Grande beach. Because both Isla Partida and Isla Espiritu Santo are uninhabited, the only people around were those on similar tours but it never felt crowded. We had time to relax and use the snorkel gear to explore the nearby coral before heading off again. Our day was filled with information and interesting stops along the way. Other highlights included the arch at Isla Partida that our driver so expertly sped through, a rock formation resembling a (slightly creepy) mask and the estuary and mangrove forest where a famous pearl farm once boomed over 100 years ago. 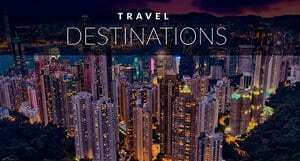 There are times when we opt for the ‘sans-guide’ route and like to explore on our own, but this day would not have been the same if it hadn’t been for the fun facts and history that we learned from our local guide. 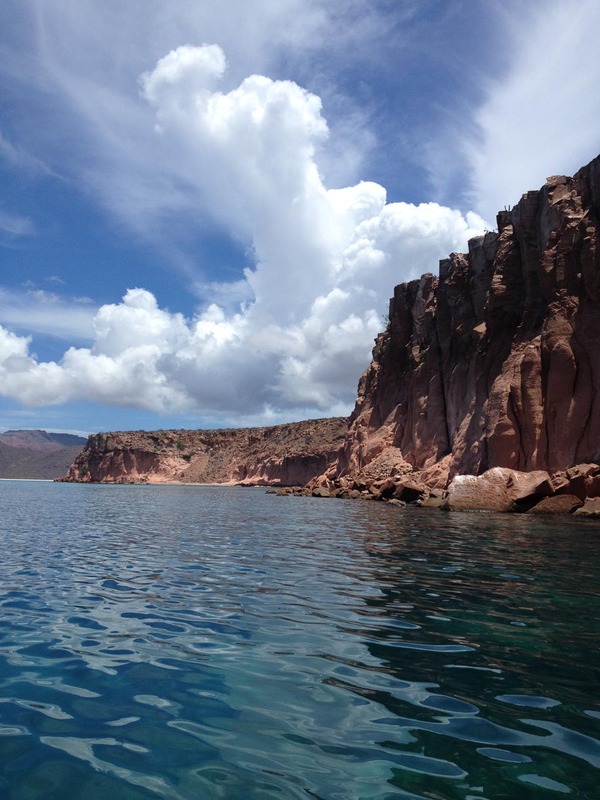 Isla Espiritu Santo is in the Sea of Cortez, read about our time in the Divorce Kayak there. The boat ride back to La Paz was just as memorable but this time for unfavourable reasons. We knew it was windy season (typically December to February in this region) but we were not expecting the ride to be as choppy as it was. To quote Costanza from one of our favourite Seinfeld episodes, ‘The sea was angry that day, my friends. Like an old man trying to send back soup at a deli.’ The choppy waters didn’t seem to bother our expert driver who kept up his speed on the boat as the rest of us hung on with white knuckles and slightly concerned looks on our faces. We made it back to shore safely around 5:30pm, just in time for a spectacular sunset. It was as if the universe was ensuring us that, even though the sea seemed angry, everything was going to be okay. If you find that you’re pressed for time or looking for shorter excursions from La Paz, there are half-day tours available that include our first two stops only. You’re still able to swim with sea lions at San Rafaelito and enjoy the pristine beach of Balandra. 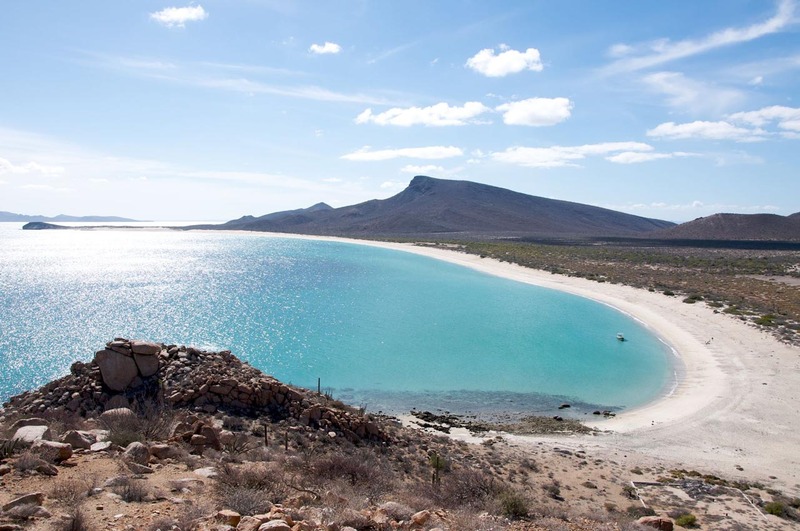 Balandra beach is also accessible by bus and is approximately 27km away from the center of La Paz. 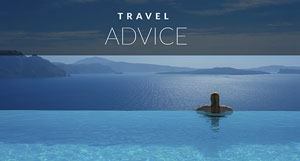 When booking any tours in Mexico, we’d recommend doing research and always shopping around for the best price. 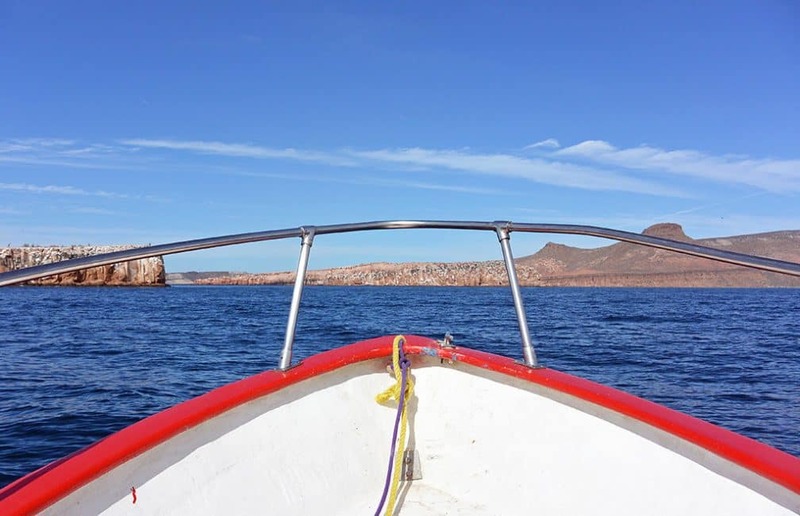 After speaking with the people on our trip, we realized we had gotten a great deal for our Isla Espiritu Santo tour which was likely because of our wonderful host and his connections. Unfortunately we couldn’t avoid being in La Paz during windy season but an honest tour guide will tell you if it’s a good day to be out at sea or not. For instance, we had a really rough ride back to land on our tour but the following day would have been even worse and our guide likely would not have made a trip to the island at all. 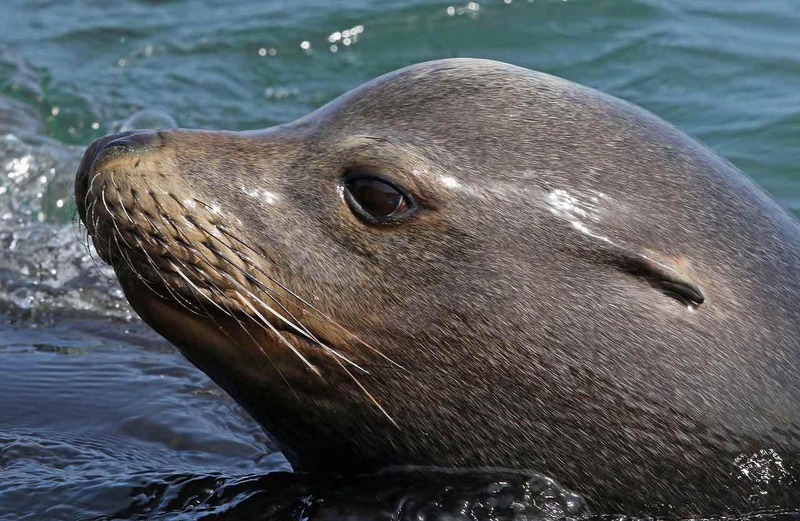 Worse than a difficult boat ride, swimming with the sea lions in choppy waters is not at all ideal. Though snorkel gear was provided, towels were not. We brought our own as well as sweaters after our host had warned us about the possible windy weather on the ride back. 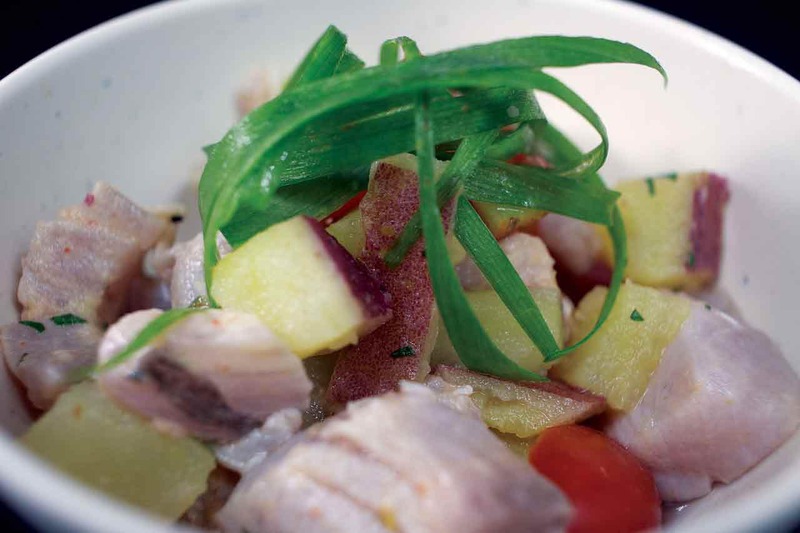 We hope that you’ll consider visiting La Paz and exploring Isla Espiritu Santo. It was definitely the highlight of our time in Baja California Sur. We love building lasting memories during our travels and this is a day we’ll be sure to remember throughout our adventures in Mexico. Felicia and Wesley are on their second long-term trip, one they hope will never end. 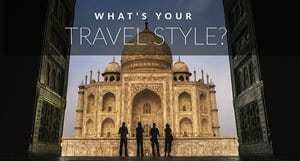 The couple is backpacking across Mexico and passionately writes about budget and beginner travel at Feather and the Wind. 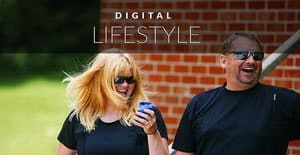 Get to know them better through their new weekly podcasts and follow their adventures on Instagram, Twitter, Pinterest and Facebook. 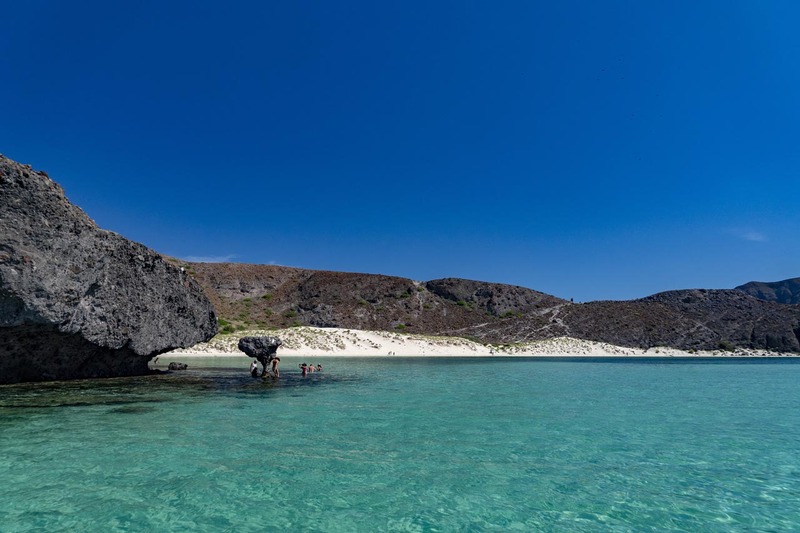 3 Responses to "An Unforgettable Adventure at Mexico’s Isla Espíritu Santo"
Love the natural rock formation especially the mask of Isla Espiritu Santo and Mushroom of Balandra! I hope I can see them in person soon! Our tour guide had told us how the Mushroom rock is a natural formation but every since the tourists have been around, climbing on it and such, they have reinforced it. It was quite amazing though! Thanks for the kind words Duke. This was a really awesome journey through your words and photos, Felicia and Wesley. It reminds me of those awesome boat tours I took while in the Philippines but definitely kicked up a notch. That Mushroom rock looks so cool and almost unnatural, huh? Thanks for sharing this wonderful journey and some truly awesome photos. Cheers, guys.